The box is filled with excrement, just like the scumbag who stole it. 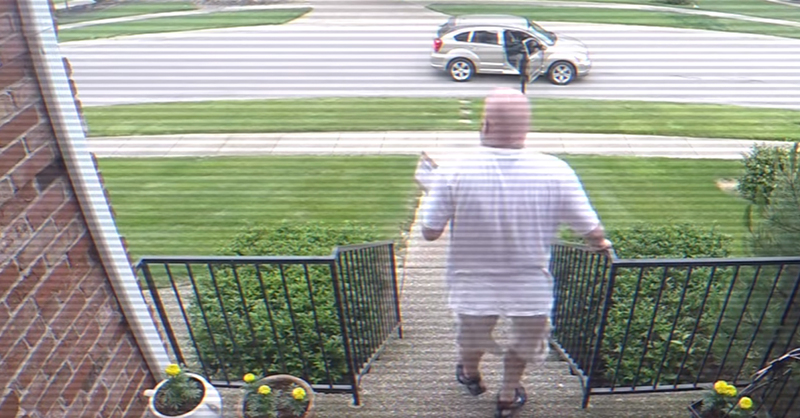 With hidden cameras in place, the homeowners finally identify the thief. The box is set on a timer to explode 40 seconds after it has been moved. The homeowners are worried that theyve set the timer too long and they wont be able to catch the thiefs reaction on video. Fortunately, the thief doesnt even make it down the block before hitting the brakes and fleeing his soiled vehicle. Hope all those stolen packages were worth a face full of poop!